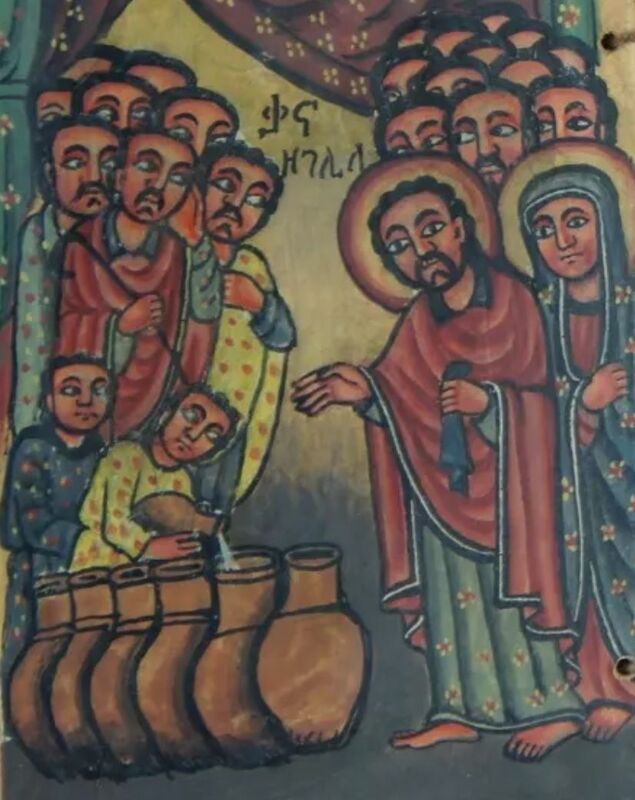 The story of Jesus changing water into wine at the wedding in Cana (John 2:1-11) is well-known to most people. It is, in John’s version of the Gospel story, the first act by which Jesus reveals his glory to people. It is an epiphany – an appearance or manifestation of the glory of God in Christ, showing Christ to be God incarnate, the Son of God, the second person of the Holy Trinity. But before all of that, the changing of water into wine is an act of kindness that reveals to us the interest and care that God has for us. God is interested in and cares about all the daily events in our lives – our concerns and worries, the stumbling blocks and hurdles that we encounter, and our hopes and aspirations. God is not so preoccupied with the great events of the universe that God has no time to attend to the small details of our personal life. Jesus’ assistance with the wedding in Cana, where the wine for the celebrations had run out, is evidence of this. That the first miracle Jesus performs in John’s Gospel is at a wedding is itself no coincidence. It points to God’s interest in human relationships, in love, in the connections between couples and between families. This reveals the heart of God, which is filled with love for us. The miracle itself is also performed quietly and unobtrusively, unlike many of the miracles churches sell to people today, which are spectacles. Without any fanfare, Jesus asks some servants to ‘fill’, ‘draw’ and ‘take’, and only they and his mother knew that a miracle had been performed. It was almost done in secret. As a result of this, his disciples entrusted themselves to Jesus; they put their faith in him, they believed into him. Because they saw that he had both power and compassion. This miracle, however, also has layers of meaning that deepen our appreciation for this story. First, there are many pointers towards this being a story of Christ’s work to bring salvation to humanity, which we commemorate in the Eucharist (also known as the Holy Community or Lord’s Supper). Second, the wedding banquet is an image used throughout the Bible to point towards God’s great plan to reconcile the world to God’s self, culminating in a great eschatological wedding between us and God and a generous banquet. – at all these levels – this story speaks of God’s care for us. Yes, God loves us. But, in addition, God cares. God cares about and responds to the little and the big things in our lives and God willing and able to respond to them. Click here to listen to this 16-minute message. We continue through the season of Epiphany in my church, which is the season in which we reflect on the manifestation or appearance of God in the world. This is particularly so in his Son Jesus Christ, who is the great shining forth of God’s presence in the incarnation of Christ, the Son of God, the second person of the Trinity. Today we focus on the baptism of Jesus by John. In Matthew and Mark’s accounts of the baptism, God the Father speaks and God the Holy Spirit descends as John baptises Jesus and as Jesus comes up out of the water. But in Luke’s version of the baptism (Luke 3:15-22), things look quite different and it is less about his baptism and more about his anointing. John is removed from the scene a few verses earlier, Jesus’ baptism is mentioned only in passing as background, and the appearance of God happens as Jesus prays. Moreover, the language used (passive voice and infinitive clauses – people were being baptised, Jesus was baptised, heaven was opened, a voice came from heaven)) creates a sense of time being suspended. It is as if the globe stops spinning and all falls silent, as the heavens are torn open, the Spirit descends in bodily form and the voice of God is heard. It is a moment of mystery. It is an epiphany! Luke accentuates this by echoing imagery and language from the prophetic literature and the Psalms of the First Testament, e.g. Ezekiel 1.1 and 2:1-3:1, where the heavens open, Ezekiel is filled with the Holy Spirit and God appears, reaching out of the heavens towards Ezekiel, and commissions him for ministry. Psalm 2:7, where God says “you are my son”. Isaiah 42:1, where God speaks of his chosen servant, who he fills with Spirit, to bring justice to the world. These passages reinforce what follows Jesus’ baptism in Luke: Jesus goes out in the desert for 40 days (Luke 4:1-13) and then into the synagogue, where he proclaims his manifesto – “The Spirit of the Lord is on me, because he has anointed me to preach good news to the poor” (Luke 4:14-30). How wonderful it would be if we ourselves experienced such an epiphany! Sadly, for most of us, God speaks quietly and subtly, not in such dramatic ways. Yes, let us not doubt that God does call us, manifest himself to us, anoint us with Holy Spirit and commission us for service. We are as much called into God’s work as Jesus was.